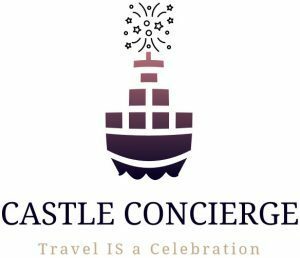 During a family dinner this past week, we were lamenting the end of the Wishes fireworks display at Magic Kingdom in Walt Disney World (WDW). Our teen son, Nic, exclaimed “Wishes has been the fireworks show for my whole life”. Well, then I realized that this goodbye was going to be harder than I thought. Nic’s first visit to WDW was in 2002. At first, the fireworks were difficult for him to watch as he was sensitive to the noise. But over the years, he grew to look forward to viewing Wishes on every visit. And at 17, he still loves to watch the show. As does our whole family. Since the show debuted in 2003, technically Nic did see the previous show — Fantasy in the Sky. 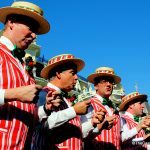 But by the time of his second visit to Walt Disney World in December 2003, Wishes had become the nighttime entertainment at the Magic Kingdom. 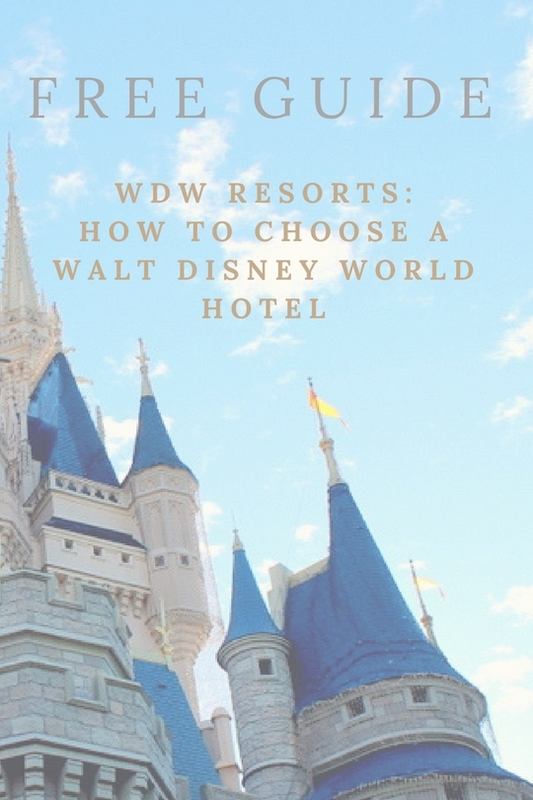 Michael and I have watched it as a couple, as parents, with our parents next to us, with friends, with Disney Parks Moms Panel family, and with other family members. That’s a lot of Wishes memories that bind us together with the special people in our lives. 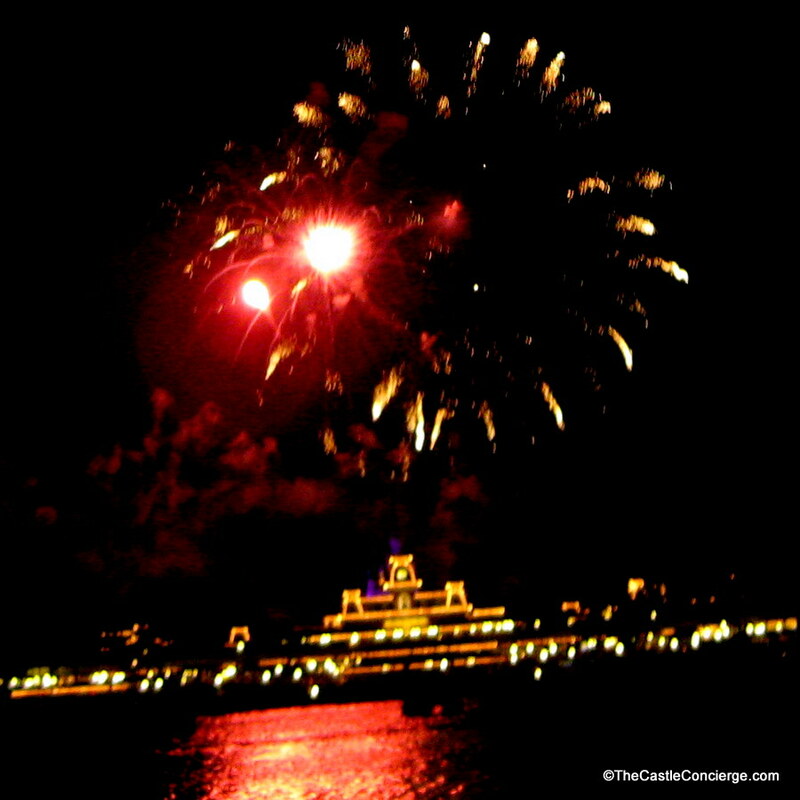 2003: Watching Wishes from Polynesian Beach. 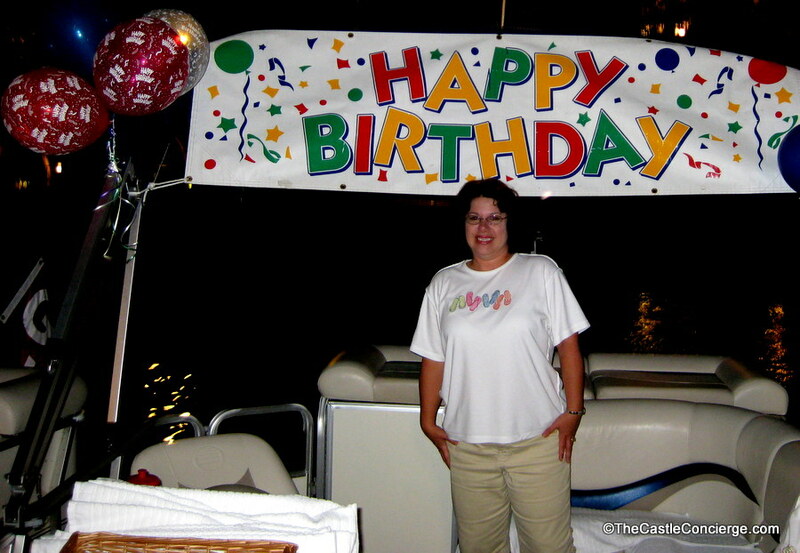 One of my favorite memories was when my family surprised me with a Wishes fireworks birthday cruise. Watching Wishes while on a fireworks cruise. This slightly obstructed Wishes view was taken from our balcony at the Grand Floridian. 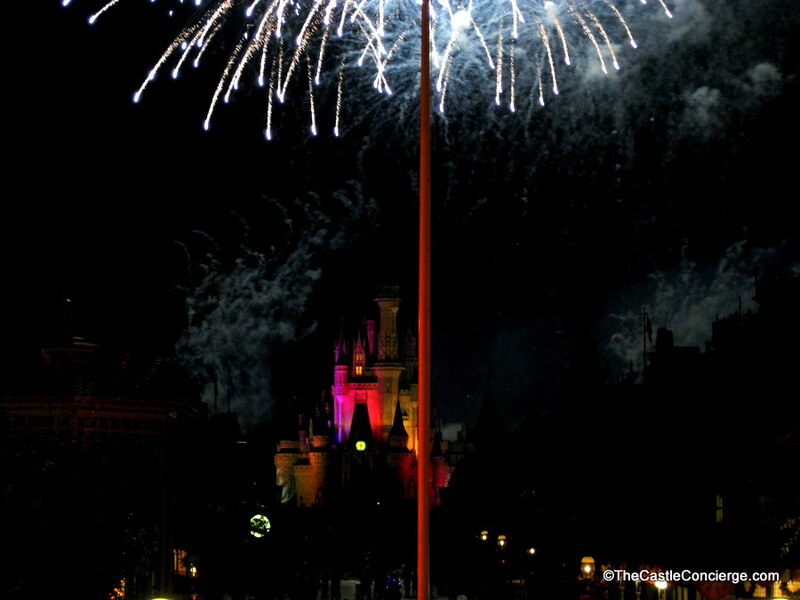 During my December 2007 Disney Parks Moms Panel training, we enjoyed watching Wishes from the Train Station. Watching Wishes during 2007 Disney Parks Moms Panel Training. 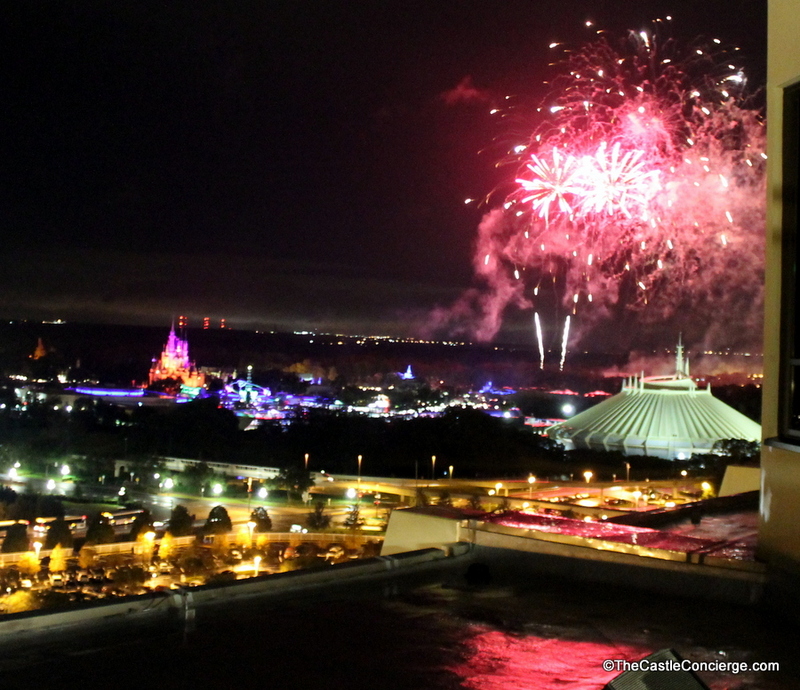 And the following year, we went to a private party for the Disney World Moms Panel, and again watched the fireworks from atop the Main Street train station. Stellar view! Wishes from Main Street Train Station. 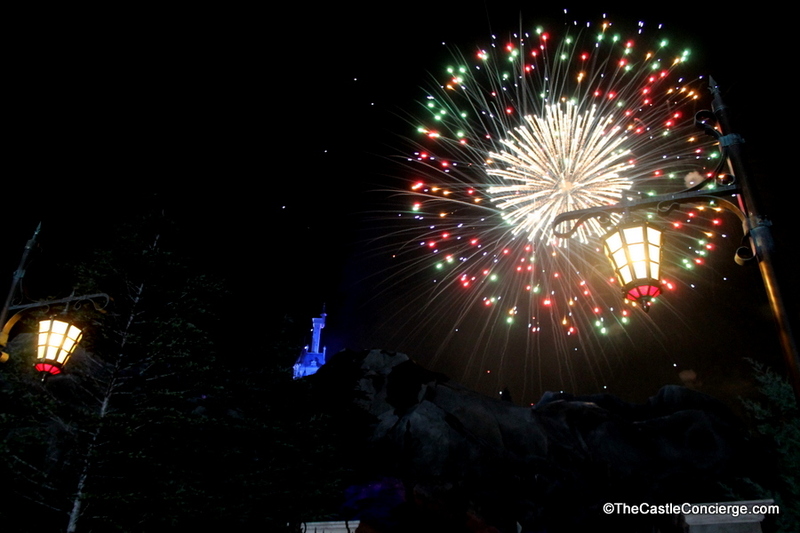 And who doesn’t love noshing down on sweets while watching the Wishes fireworks. 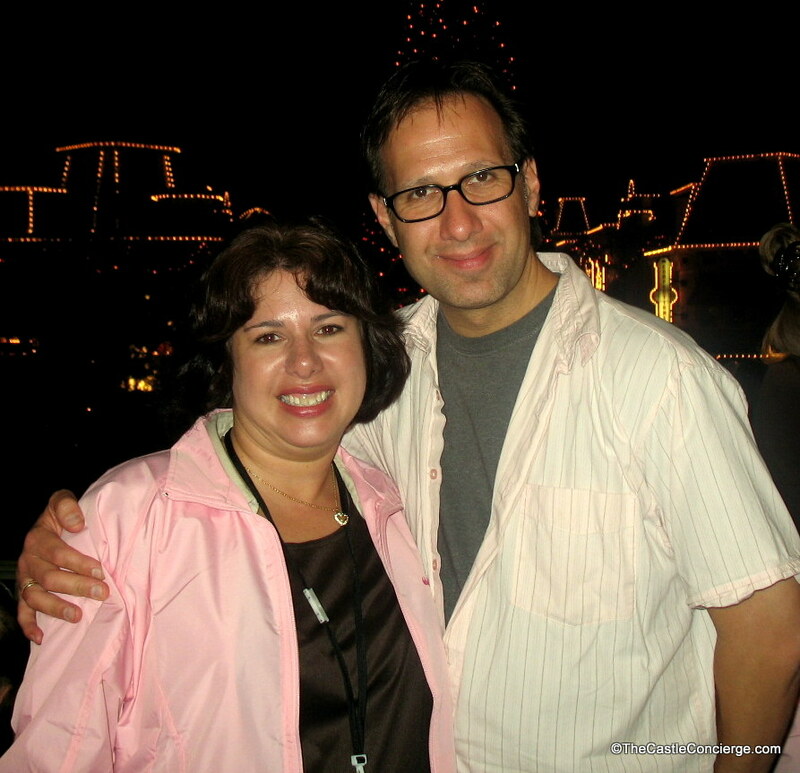 In 2011, it looks like we were enjoying the dessert party! 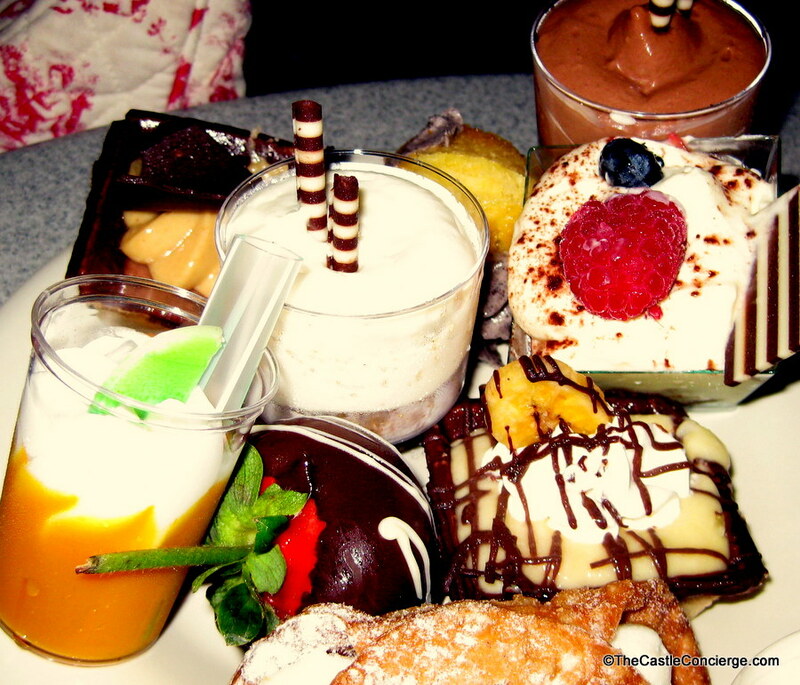 Desserts at Wishes Fireworks Dessert Party. One of our favorite unique views of Holiday Wishes occurred while waiting to enter Be Our Guest Restaurant for an evening dinner reservation. 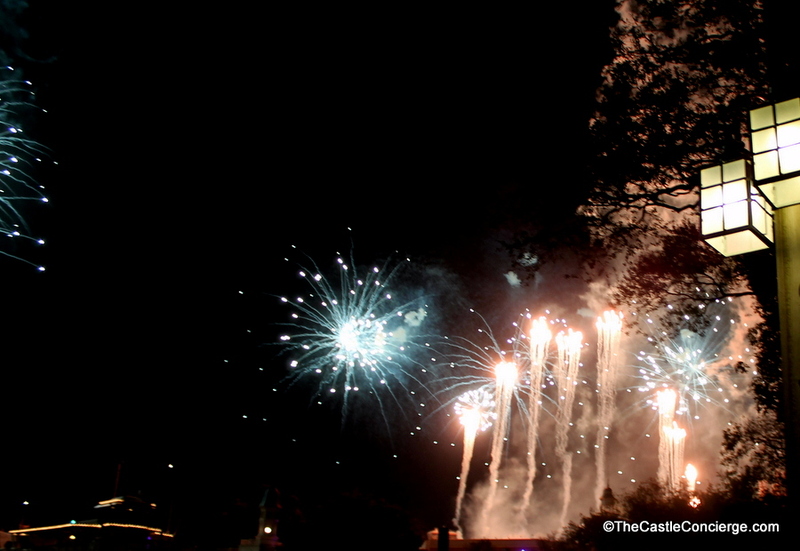 Wishes Fireworks from Be Our Guest Restaurant entrance. Check out a little video from that perspective. 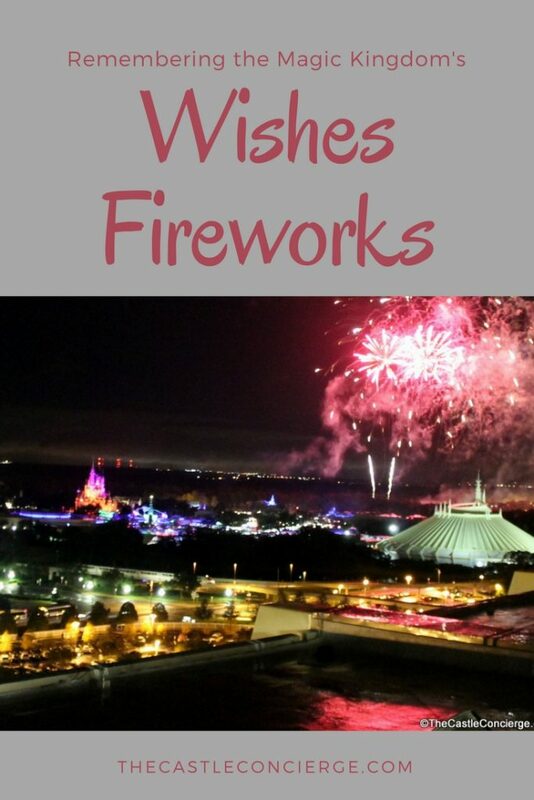 We’ve seen Wishes from many different vantage points around the Magic Kingdom. 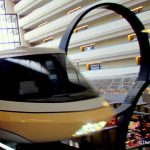 We highly recommend watching from California Grill at Disney’s Contemporary Resort. 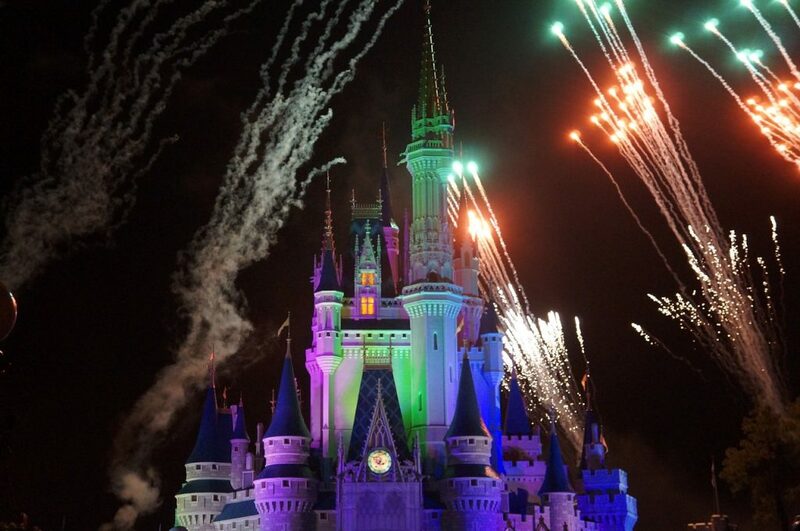 We hope the new Happily Ever After fireworks show is equally memorable for families planning their Walt Disney World vacations. What will you miss about Wishes? Share your favorite Wishes memory! Thanks for taking me down memory lane. So many wonderful memories. 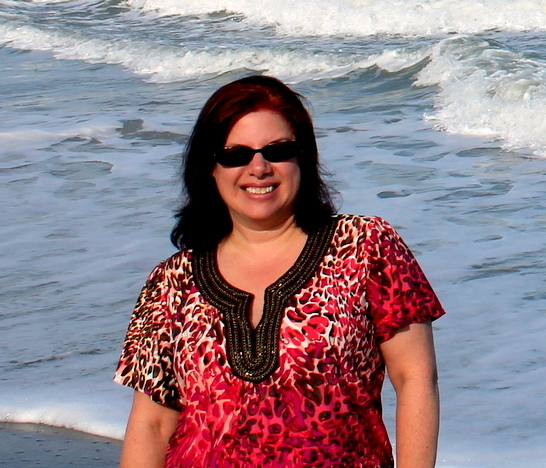 We certainly have a lot of priceless memories at WDW!